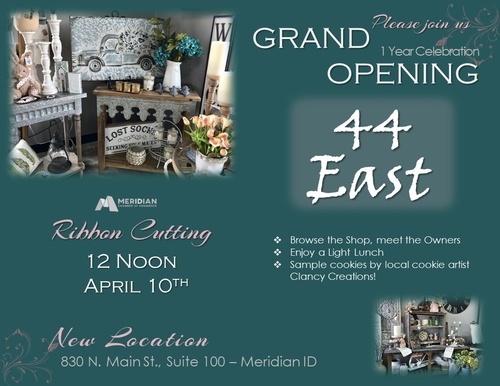 Join us for the Grand Opening (New location) & Ribbon Cutting of 44 East home decor! Meet the staff, tour the store and enjoy a light lunch. Special event cookies by local cookie artist Clancy Creations.